Little Beast, Sean Lowenthal’s progressive American bistro, quickly ingratiated itself into the Eagle Rock community, and for good reason. It resides in a converted Craftsman bungalow, quaint and reminiscent of a meal in Savannah or Charleston. There’s a kid’s menu (the restaurant is named after their hockey-playing son, after all). And the food holds its own against other Silverlake neighborhood spots, dishing out crispy chicken breast with pistachio gremolata, hamachi crudo, or plums and burrata. 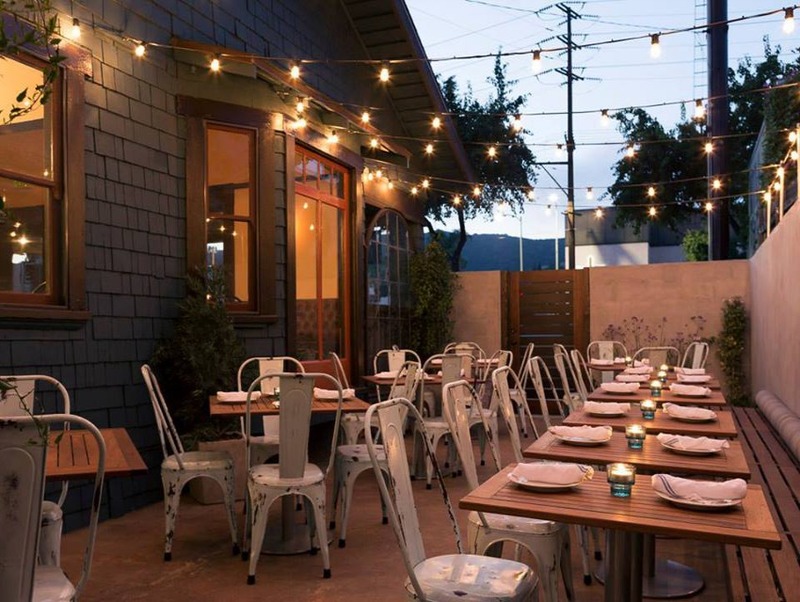 Playing off its romantic charm, Lowenthal is introducing “Tuesday Date Night” where couples can enjoy a warm night out on the patio and get a taste of Lowenthal’s Southern-inspired cooking. This week he’s featuring a maple brined pork loin served with vidalia jus, thyme roasted fingerling potatoes, and frisee salad with applewood bacon. $35 for two people, $45 wine included. A change is gonna come! Head over to City Hall for a celebration of Food Day LA, where policy makers and public officials will be unveiling upcoming food projects while honoring esteemed members of the food community. Topics range from urban farming and compost to health and food access. If you’re in any way interested in the future of food politics in Los Angeles, then this is the place to be. If that doesn’t tempt you, there will also be a bike-powered smoothie machine, a worm composting bin, and local honey samples to check out. But you’re here for the issues involving sustainability and equality, right? Rejoice bread enthusiasts! Artist and baker Michael O’Malley, the man behind MOMO (Michael O’Malley’s Mobile Oven), is setting up shop in the parking lot of Grist & Toll in Pasadena this Sunday. Here’s an opportunity to bake your own loaf using the MOMO, sample a variety of breads, and share stories with other members in the community To reserve an oven time, contact info@gristandtoll.com.